Quantros is a healthcare analytics and risk management consultancy. 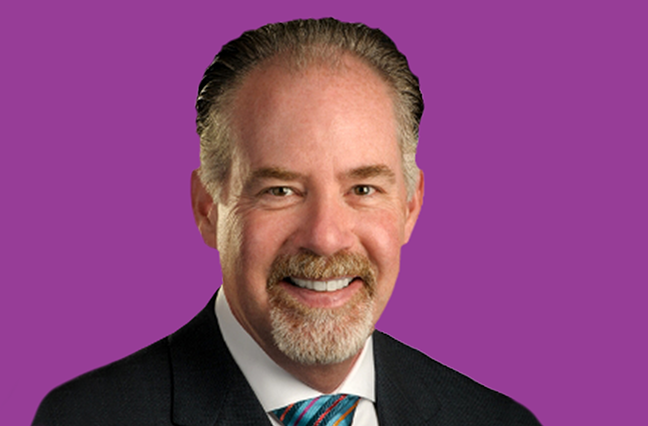 Wolverton discusses why brokers should understand healthcare quality and how doing so may change their relationship with clients for the better. Why should brokers understand quality differences among healthcare providers? What we are finding is more brokers are interested in understanding quality, irrespective of whether or not they discuss it with clients or how they use that knowledge. Providers have been aware there is greater focus here and are attempting to remediate poor quality where they can. Carriers are trying to bring network solutions to employers through their brokers. Employers are more aware of significant quality variations across hospitals and physicians, but they, and the broker community, are lagging behind in understanding how significant that quality variation is and how to measure in a way that can be helpful. Can understanding quality affect a broker’s relationship with clients? The business impetus for them is to be at the table as informed stakeholders…[regarding the] tremendous variation in quality among providers. By 2025, up to 32% of state and local governments’ costs could be on their healthcare spend. That’s such a large number, and private employers aren’t far behind. There is a role to play beyond just connecting clients to solutions. I think [brokers] could play a valuable part in helping these folks spend money more wisely and navigate toward higher quality. How might this change how brokers do business? They are going to have to be adaptive. A lot of people are talking about quality variations and reference-based pricing and bundling to get prices fixed. The role of brokers is being redefined. How would they move to focusing more on quality for clients? Turning the focus to the lowest-cost/best-quality option would be a different model where there is commission and shared savings. If they are trying to reduce costs and improve quality, a broker will be working with the client to achieve objectives that are in their [the client’s] best interest. Brokers’ interests are best served in recognizing that they may have to maintain more flexibility in different revenue models and approaches. Brokers want to keep clients and keep them happy and recurring. They also want to have a good relationship with health plans and other organizations that can help meet their clients’ needs. They will need to be flexible to emerging models and the risk sharing they might be asked to participate in because of the escalation of health costs and the problems it introduces to a client. For example, they could use service level agreements around their client’s total healthcare spend. They could use a per employee per year (PEPY) spend calculation where the broker gets a percentage of savings from the previous year. This can also include “kickers” where the percentage increases as savings increase. Specialty pharmacy is also an area of significant spend where they can partner with vendors to reduce [costs] and share in that savings. They may also want to implement programs like concierge care or navigational tools to help beneficiaries find higher-value providers. The actual instrument might vary depending upon the risk tolerance of the client. This sounds like a lot of change for some brokers. Are they reasonable to be wary of this kind of change? It is intimidating for brokers. Their role is to connect a plan sponsor with a healthcare solution. Now that they know that different healthcare solutions provide tremendous variability in cost and quality, it puts a broker in a complex position. Sometimes you get high quality at a lower cost, and other times you just get average quality at a lower cost. Navigating that and understanding those concepts can be difficult. They have to understand how, as brokers, they can become more informed about how to measure quality in a precise and reliable fashion, then know how to guide clients toward solutions that best meet their needs. Brokers are exploring ideas about how to become more aligned with the plan sponsors in terms of transparency, acting on their behalf, driving solutions to manage costs, but also helping to understand ways to achieve greater value. Measuring quality can be a challenge for any organization. What do providers need to know about how to do this for their clients? There are technology platforms that allow quality information to be compiled, and it comingles with pharmaceutical data and claims. There are a couple of ways this can happen. The employer can have its own platform and allow its broker access to that to help understand employer spend. They would be looking for data aggregators or technology companies that are aggregating information from multiple clients so they have insight into what is going on within their healthcare spend. Deerwalk, for instance, has a nimble platform and can link its quality information to claims information from employers and brokers and benefit consultants. It allows quality information to become part of the analytic framework to relate with the client. They can look at providers and understand resource utilization, total cost of care, efficiency and efficacy of care. They have to become accustomed to getting quality as part of the other information and thinking about it as a dimension of network performance. What about brand? Does it play into the perception of quality? Yes. Consumers are oriented toward brands. They know Mercedes, for instance, might have higher quality than, say, Honda. Not that Hondas are bad cars, but they are based on reliability and cost of ownership and good value. Mercedes is about luxury and a different experience and aesthetic. Healthcare services can be seen that way as well sometimes, but the perception isn’t always true. For instance, in the U.S. News & World Report hospital rankings, a large portion of their approach is reputational. It’s based on surveys sent to physicians about where they would send patients. But these physician respondents usually have no understanding of what the outcomes are at these particular institutions. It’s not to say these places have poor quality, but when you are talking about quality variations, there are different ways to measure that. And it doesn’t always match up with the brand equity that lots of provider organizations have. There are so many things that go on at every different hospital—from spinal surgery to cardiothoracic care to heart failure or obstetrics. It’s going to vary across clinical areas, and within clinical areas you have physicians that will vary in their quality. Brokers have to determine what the clinical need is for clients and which providers those clients have access to are the ones that provide the ultimate in cost and quality. Any other considerations when measuring quality? Risk adjustment is essential. Patients have different propensities for outcomes based on age, gender, the type of clinical condition they have, co-morbid conditions, etc. If brokers are going to measure quality precisely, it has to be risk adjusted in a way that removes differences in clinical and demographic risks across providers. That’s a foundational principle to measuring risk. If their measurements have solid risk adjustment that is adequate, they will have to measure whether variation across providers is meaningful, and the way to do that is use statistical significance testing to see if providers are different from each other in their outcomes. How does it benefit brokers to understand quality? Brokers who continue to assert that the value they bring is delivering the biggest discount to a client are going to have a more difficult time retaining those clients than other brokers who begin to discuss how much variability there is in quality. Brokers can help clients by helping them understand the options delivered through the health plans, what their quality really is and how to navigate that. If they don’t, brokers may not be viewed as a stakeholder for the client. Clients might become more transient or use more products and services that move them away from using brokers as their primary relationship and relegate them to a different role. But if brokers become more informed about quality variability, they can act on behalf of clients to connect them with a plan that works for them and then optimize their benefits. Is this going to be needed with all clients? Some stakeholders—benefit consultants, brokers and clients—are awakening to this idea of delving deeper into quality. A lot of younger brokers get this and know that their financial relationship with carriers has to move and that their revenue has to be at risk, based on performance. Brokers have a fiduciary responsibility to clients to help find solutions and navigate healthcare because it’s so complex. They have to decide if they want to be the person working at table alongside their client as they are working all of this out or if it will be someone else.